12 Days of Holiday Giving – Day 11! While the fun is almost over, it’s not quite over yet! It’s Day 11 and we have invited special guest Jen Gallacher to join in the fun today with another gorgeous card! We also have quite the prize package today from our great friends at Pinkfresh Studio, Scrapbook Adhesives by 3L and BoBunny! Ready? Let’s go! 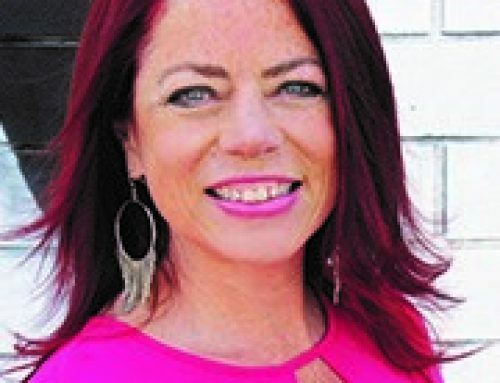 “Hi, Jen Gallacher here. Today I wanted to share one of my favorite card techniques with you: layering! I love the way layering makes a card seem more dimensional and more interesting. And layering on a Christmas card just makes it a bit more magical. Keep reading to learn more about how you can die cuts, embellishments, and fussy cut paper images onto one card to make a cohesive, beautiful card. Start with a base for your card. For this card, I fussy cut a 3×4 Journaling card from patterned paper. I fussy cut around each edge of the card and mounted it on other layers of paper and die cut shapes. Use die cut shapes. 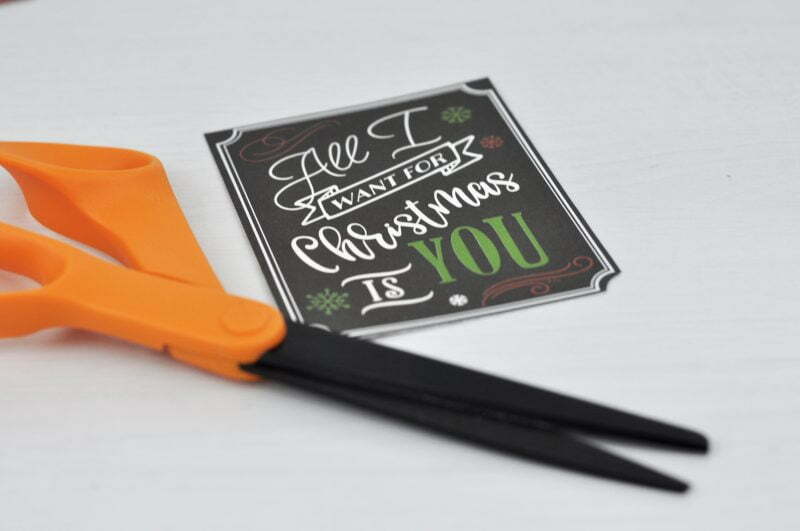 Use holiday manual or digital die cut shapes to add some texture to your card. On this card I used a stitched rectangle, a circle tag, the “shine” phrase, the wreath, and some pine boughs. This created the “scene” for my card. Continue the scene. For additional realism for my card, I fussy cut two presents from patterned paper. One is adhered to my card with pop dots to help add some dimension. Add some shine. Use enamel dots or other stickers to add some shine to your project. Here I used red enamel dots as “berries” on my wreath. Here’s another look at this card. You can see by planning ahead of time the layers you want to include, you can a truly gorgeous holiday card. Beautiful card Jen and it was so lovely to have you join us today during our special holiday event! Our first giveaway is from our friends at Pinkfresh Studio who are offering not one, not two but FIVE stamp AND die sets valued at over $135! Just look at those sweet stamps! Next, from our sweet friends at Scrapbook Adhesives by 3L…. Our third prize today is from BoBunny! Outstanding giveaways right? For an opportunity to win today’s offering, leave a comment below by midnight on December 22nd EST. All winners will be announced on December 23rd at noon EST. We have loved hearing about your favourite holiday memory and your favourite foods too! But now we would love to hear what you are most excited about this holiday season! We love getting to know you better so hope you’ll share what you’re looking forward too. Maybe it’s just a break from the every day and a few days of family, friends, and food. Or maybe you’re heading away on vacation. We would love to hear! As we have asked the previous 10 days, we ask once again that you take a moment to visit today’s sponsors on their Facebook pages to thank them for their generous prizes. Our SCT readers are always so wonderful at saying “thank you” and it’s because of that appreciation our partners love to share with you here throughout the year! Let’s show them how much we are loving these 12 Days of giveaways! If you don’t already “like” them, you may just want to! Please continue to spread the holiday spirit by inviting your friends to share in our celebration! The more the merrier! And if you’re just joining us for the first time, be sure to start with our Day 1 post HERE. OMG! Thank you for sharing this gorgeous card!! Really love this one! Also thank you for the opportunity! Love the card and instructions. The giveaway is not to bad either. I sure could use some adhesives. Thanks for the chance to win. Such a beautiful card. Love all the layers. Great giveaway. Thanks for sharing..
What a cute card! Love it. Great products being offered as a giveaway today. Would love to win the dies and adhesives. Thanks for the opportunity. Wow!!! Love Jen’s card!!! It’s really festive!!! I’m in love for all these amazing Sponsors’prizes!!!! I most excited about this holiday season because after a long time I’m going to spend the Christmas Days with all my family together with my partner’s family too!!! We’re going to be 30!!! A big party!!! ??? Love all the layering on this beautiful card by Jen. it makes any papercraft more interesting to have layers to look into. It certainly catches your eye for longer since you want to see what is going on. Thank you so much for sharing her beautiful work and for sharing the lovely prizes today. I am starting to get excited about having the family home for dinner on Christmas day and all the fun of having the grand kids here with us. They are growing up too fast and it won’t be long until they are all busy and maybe won’t be able to be home for the holidays so I treasure every minute I can with all of them! Hope you are all able to be home with your family or have someone around to fill your home with love and laughter, even in the bad years. I love how Jen repurposed that black card to use as a background – think outside the box. Thanks again to all your generous partners for the great giveaways! Looking forward to some peace and quiet and rest over the Christmas season. I love the layered card–lots of inspiration! I am looking forward to a change of schedule and spending more time with my family over the holidays. Thank you to Pinkfresh, Bo Bunny and Scrapbook Adhesives by 3L for the great prizes for today–Happy Holidays! The layered card is so much fun! I love the chalkboard base against the red plaid. This is my first comment – I could not resist the giveaways! I am looking forward to the first Christmas with my granddaughter, and a new baby coming 12/28 also! Lots to scrapbook about. THese are a few of ,my favorite things! Sing along! What a beautiful card filled with so many gorgeous layers! Jen has done an outstanding job! Thank you to more very generous sponsors! I guess I am most excited about this year Christmas is that I will be celebrating it in sunny sunshine day instead of our usual year end rainy season which dampened the festive mood. Wow!! So great!! These prizes are so awesome!! The generosity of all of these companies is just amazing!! Thank you all for a chance to win. Love the layering on this card! Amazing prizes WOW! I’m most excited to have both sides of the family together at our house as we host on Christmas Day this year! I’m really looking forward to some time off with my family! Thanks for the layering tips, Jen. Great card, I am most excited about the one day that everyone in the family has off from work. Even though it won’t be Christmas Day, we will make the most of our family time. With two working teenagers and a husband working over the holidays, it can be difficult to schedule sometimes! What I’m most excited about is that my husband is coming home rehab this week. Suffered a brain injury and has been in and out of hospitals and rehab since June so this is the best Christmas present ever. I look forward to your 12 Days of Holiday Giving each year. You have the best sponsors and wonderful prizes. And, the artists share the most wonderful cards and Jen’s is no exception. God Bless You! Sue, I’m sorry that your husband and you have been through so much. We’ve had a pretty challenging year in our family too. I’m so happy that he’s coming home! I pray that God will bless both of you. The love that you share is more valuable than anything else! May your holidays be joyful, peace-filled, and full of love. Love this layered card and all the cool prizes too! That is one beautiful card. Love the layers, colors and sentiment. The design is fabulous. Our favorite Christmas memory is to sing Christmas carols as family by the tree on Christmas eve. Another day of great inspiration and great giveaways from amazing sponsors!! Thanks!!! What a beautiful card! Thanks to the sponsors and SCM for having the contests for the last 12 days and having the magazine all year! Merry Christmas !!! I’m going to save all these ideas for next Christmas. Ran out of time to do all the projects that I wanted to do! Thanks for sharing all these great projects. Great stuff. I am so looking forward to Christmas! Love the card . Awesome prize package, thank you! I am really looking forward to having everyone in my family in one place. With four teenage girls it is hard to get everyone home, they are just so busy. We love being together, so I’m grateful for this holiday season. And I love being creative and taking time to make beautiful things. The Bo Bunny paper collection is so wonderful! Love the children on it! What a beautiful card! I love all of the dimension 🙂 Thanks for the chance to win this awesome prize! What a pretty card card created from bits and pieces. Great card to give to someone special! I am most excited this Christmas season so spend the days with family and going to church on Christmas eve evening is always a special time! Yet another wonderful package! It’s so lovely that you are giving all these superb prizes away, especially at this busy season that is stressful – and even sorrowful – for many. Happiest of holidays to you all. This year, I’m looking forward to being truly part of a community during the holidays, for the first time in many years, after moving so many times. We’ve finally started to put down roots, and it is a blessing. Love the layered look. My recipients always appreciate the little extra touches that make a card special! The prizes are fabulous too! OMG Beautiful card. I just love plaid and looks great for this background. What a wonderful way to add dimension to a card. I’m looking forward to some quiet time with my husband this Christmas season. Awesome prize the Llamas cracks me up! Not 1, not 2, but 3 fabulous prizes! Awesome & generous prizes from Pinkfresh Studios, Adhesives by 3L and Bo Bunny! Someone is going to be very happy winning this prize! 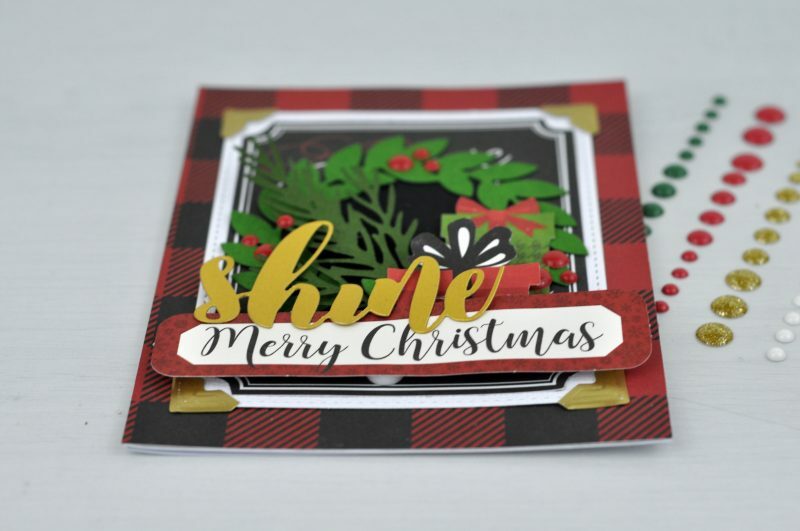 And, thank’s for the awesome tutorial on layering cards Jen! I am so looking forward to spending time with my son and daughter-in-law and my Granddog. This holiday season, my daughter is finally home in the US after 7 yrs in Germany! And she’s less than 2 hrs away & pregnant with her 2nd girl! So much to be happy about – totally blessed! I am most excited to be able to spend the entire break from school with my 5 year old granddaughter. I am glad that she loves school but I miss having her around all day! I really look forward to vacations so we can have our fun times again! I am planning to take her on a wildlife camping adventure in the living room one night.We will have to search the plains for lions, tigers, hyenas, elephants and giraffe shaped cookies, Paper mache items and pictures of the animals. It is going to be so much fun! Beautiful card, Jen. Thank you SCT and sponsors for this amazing giveaway. My finger got ahead of my brain and hit post Comment! Forgot to add that I love this lusciously Layered Card! The trio of prizes is quite awesome! Love the BoBunny collection! The colors and prints are amazing! Thanks for such awesome prizes on this fun 12 day giveaway/ inspirational journey! It has been wonderful! TFS! love all the products that have been donated. Someone is going to be very, very happy when their name is drawn. I am looking forward to some time off at Chrismas. I have been traveling a lot, and would like to stay home. Thanks for the chance to win some great prizes. I am most excited to be spending Christmas with family. Thank you to today’s sponsors. I AM MOST EXCITED ABOUT MY NEW GRANDDAUGHTER BEING BORN RIGHT NEAR CHRISTMAS!!!! She’s already 4 days late, so maybe she will be born on Christmas…. I love the prizes–I would love to win. Thanks so much. My nephew was born on Christmas day so every year I wrapped one present for him in Christmas wrapping paper, and another in birthday paper. I didn’t want him to feel cheated out of a birthday. I’m excited for you, no matter when that sweet girl arrives! I’m most excited about having time off. I work a lot, and want to spend some time with my family. Love all the layers on this card – simply beautiful! So looking forward to Christmas! My youngest will be done with finals and my 2 older boys will be home on Saturday for the holidays along with my new daughter-in-law, feeling so blessed! Merry Christmas. Thanks for the chance to win and he great card idea. Great tips for layering. Just looking forward to getting together and watching g “Christmas Vacation “ for the umpteeth time. That is such a beautiful card! I’m looking forward to my nieces and nephews opening their gifts. I love seeing their excitement when they tear open their presents ? I’m looking forward to spending time with my daughter and son-in-law. Every Christmas we dig out all of our Christmas movies and have a movie-thon. I love the plaid paper used in the card(s). Oh the card is so pretty! I love layering of the diecuts, it gives such a 3D effect. As christmas draws near, we got to prepare the big feast.. ham and also the turkey and cheesecake..
Beautiful card. Another day of great giveaways. Thanks so much for the opportunity to win. Awesome card and prizes! I am most excited about having my kids and 1-1/2 year old grandson home for several weeks. I can’t wait to see his expression when he sees all the decorations, lights, and his joy at ripping open the wrapping paper! Another great 12 days giveaway! SCT has the best sponsors! I am looking forward to spending Christmas with my 2 lil grandsons. Everything is better when seen through little boys eyes and hearts! What a beautiful card! Love the layering. What fantastic prizes again today. Thank you. I’m looking forward to the holiday cooking and being with friends. Outstanding prizes today. Going to try and make the card. Love it when I get to see how someone puts together a beautiful card. This Christmas season means so much more to me. Last Christmas I was in the hospital. I had had surgery. I really don’t remember much of that time. I only remember that I was not home to enjoy Christmas. I have gone all out this season. It’s also a kind of celebration. I have been cancer free for six months now! Thank you to all of the sponsors for your generous offers. I will be looking forward to seeing future posts. Love the layered card! So looking forward to spending time with my family over the holidays. Thank you to your sponsor’s today Pinkfresh, Bo Bunny and Scrapbook Adhesives by 3L for the great prizes for today! Merry Christmas Everyone! I love, love, love these products! I hope I win. What a great card. I am hoping we can go to see the Rockefeller tree this time as it will be the first time my daughter sees it. We are hoping the weather cooperates too. Thank you Pinkfresh, scrapbook adhesives and Bo Bunny. Beautiful! I would love to win any of these products. Great ideas for the card using a combination of dies and papers. Spending time with family and remembering loved ones—that’s what I look forward to at Christmas time. Also the delicious treats…good family and good food! Thank you for the 12 days of giving. Congratulations to all who win, crafting is a very fun and peaceful time. Thank you. I’ve always loved Bo Bunny and Scrapbook Adhesives by 3L! And love the goodies from Pinkfresh as well! Lovely dies and stamps! Christmas time favorites: Remembering past Christmas’s and family members, party-going and special surprises, baking and making cookie trays to share, fancy dinners, hoping for snow, playing, fellowship, and remembering why we do it! Very lovely!! Thanks for sharing. Amazing prizes too!! Love all these prizes. Thanks Bo Bunny, 3L adhesives and Pink Fresh. You are all great companies. Love this card and all the amazing give always! Thank you for the lovely card idea can use this idea for any season. This adhesive would be nice to have. Thanks for the great opportunity. What a wonderful and bountiful set of prizes. Love the step by step instructions for this beautiful card. I am so looking forward to spending time with family and friends. All the wonderful food that comes along with it too. ? Love the card and think that sentiments can be a focal point on some cards. And a huge WOW for the awesome prizes today! Love that card – the struggle is real when I try to layer. What should be easy, is not something I can seem to master, so examples like this are always welcome. I love being with family – having my kids home (though come week two, I’m counting down to them heading back to school), but I look forward to the 26th. When the frantic pace is gone, most of the clutter has been cleared away, there’s enough leftovers for people to feed themselves, and we can just be. Great layering on this card and I like the prizes. I am looking forward to seeing all my grandchildren. Some of them live far away. Gorgeous layered card! And more awesome prizes! Merry Christmas to us all! Beautiful layers on the card. I love it. I am so looking forward to Christmas Eve when my kids put on their annual Christmas skit and musical show. It is something I treasure every year with their costume changes, different roles, festive singing, and lots of true laughter. Merry Christmas! Love everything! That card is gorgeous! This Christmas will be bittersweet for me. My father-in-law is in hospice right now. We are thankful for every day that we have with him, and hope that his transition to heaven will be peaceful. I have been truly blessed to have him in my life for the last 27 years. What a fun card! Thanks for the inspiration. Loving today’s prizes! That Bo Bunny paper!!! And who doesn’t need adhesive and love stamps and dies! Jen has been a favourite designer of mine for quite some time now. She is the queen of layering in my eyes! Love her designs and this card is no exception. She is super sweet too. Outstanding prizes today for sure! Beautiful stamps and so many….wow! 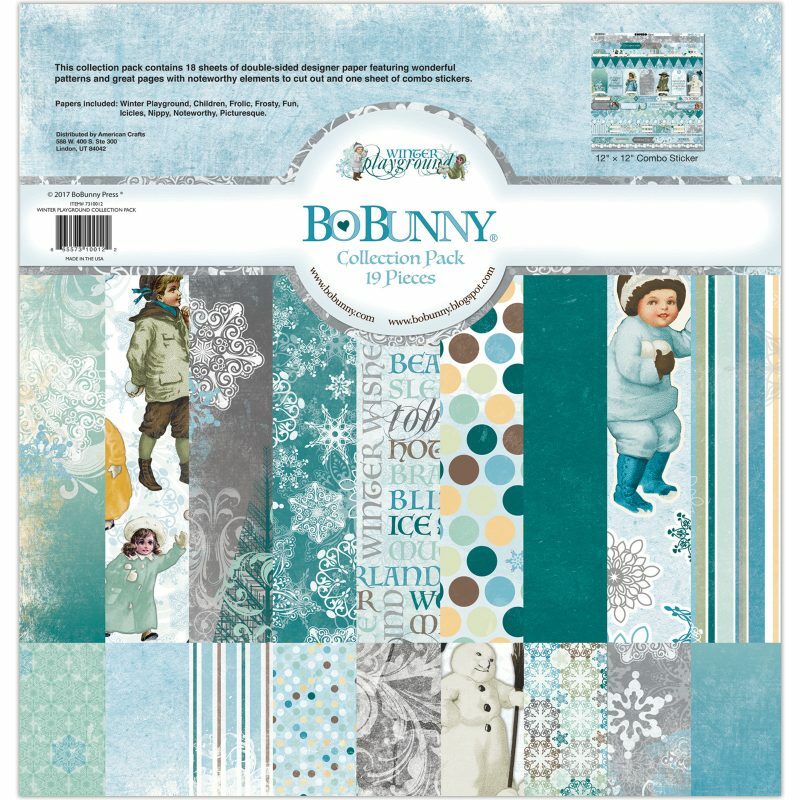 Love Scrapbook Adhesives…use them all the time, and BoBunny’s winter collection is so pretty! Love it all! Lovely card. Such a beautiful result achieved from ephemera and paper with just one die cut element. Looking forward to a quiet Christmas day with my family. Like you said, Outstanding! I look forward to watching our first grandchild celebrate his first birthday on Dec 24 and of course celebrating Christmas Day. We will have the extended family for dinner on Christmas Day, so lots of activity and fun. Love the card. Great giveaway. Beautiful card and amazing prize packages! Thanks! Looking forward to spending time with family and watching my 2 year old grandson open gifts. He keeps looking under the tree and saying “I open gifts?” lol I’m so excited, I cant wait to see his beautiful lil face when he finally gets to open them. I love the card. I love the red and black buffalo plaid its so popular this year. I had to use it on my decorations and tree this year. Thanks for all the wonderful giveways and chance to win. Oh my! My heart kept going faster and faster! I love the stamp sets and dies and was thinking what a fabulous prize today and then adhesives!! I am a self confessed adhesive junkie! I love me some sticky stuff! And then to top it off with one of my favourite paper companies and an awesome winter collection from Bo Bunny! WOW!!! Green with envy for whomever wins this one!! Fingers crossed it’s me! Wow… awesome prizes today! Thanks so much to your wonderful sponsors! This has been a difficult year with the loss of my brother in August and now the loss of my aunt just a few days ago. I am most looking forward to starting a fresh and hopefully better year in 2018! Love your card! Your layering is awesome. Thanks to the prize givers: BoBunny, Pink Fresh and Scrapbook Adhesive! I really like all the layered elements of the card, can’t wait to try it. What a great prize package today! Love the layering on the Christmas card! I’m so looking forward to hearing from my grandchildren and nieces and nephew on Christmas Day and spending a few minutes listening to them gush about their presents! Miss having them closer. The Bo Bunny Paper is stunning…..stamps are perfect…..and how did you know I needed adhesive! This holiday season I am looking forward to having my kids t home! I miss our family game nights and I can’t wait for us all being together. Beautiful card! For Christmas I am looking forward to a day away from everything. No medical treatments, just enjoying my family. Beautiful card with lovely layers and colours! And another generous giveaway as well. This is truly a very generous prize pack. Wow Pinkfresh Studio, stamps and dies are fantastic and what a great variety. Stamps and dies…my favorite. And a girl can never have enough adhesive and Scrapbook Adhesives by 3L has just the perfect combination of that. And what a stunning collection of beautiful paper from BoBunny . Then to top it all off your card is beautiful Jen and thank you for all your tips. Merry Christmas to all. Such a cute card! I love being with my kids and just eating tons and tons!! Beautiful card and great prizes again. You’re amazing, thanks! I am really looking forward to having a break from work and just spending time with my family. any of them would be coming to my house. Love this layered card. So beautiful. So looking forward to winning one of these prizes. Jen this card is stunner! I love doing layers too! I think it’s a great way to build up a card and add a lot of visual interest! Another wonderful day of prizes. Merry Christmas and thanks for the chance to win. Beautiful card full of lovely layers! Your layering looks amazing. Thank you for the tips! 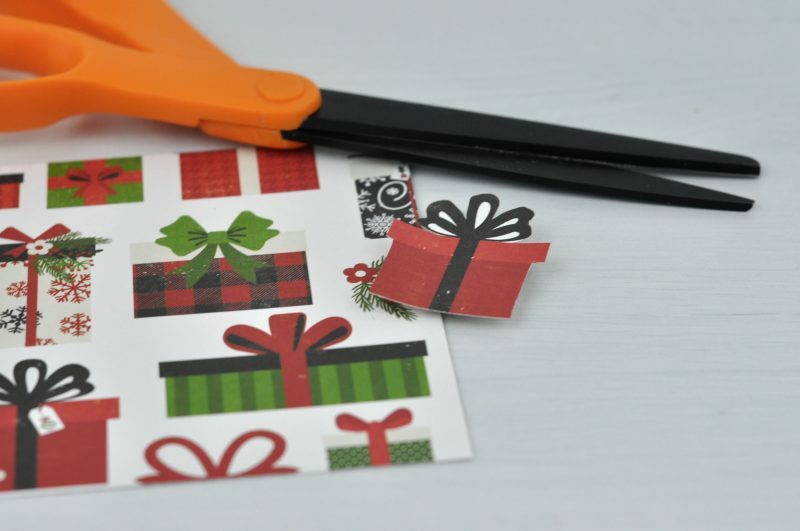 Fussy cutting is a great idea for layering! Thank you as well to all the amazing sponsors. The giveaways are so much fun! Jen’s card is really pretty, and I especially love all the textures! Thanks so much to the awesome sponsors for the very generous prize package today! Definitely outstanding giveaways! Love the Bo Bunny Winter line. Adhesives are definitely great! Can’t craft without them. The holiday stamps and dies are adorable! Thank for another opportunity to win some fabulous products! Just love all the cards. You have inspired me to enhance on what you have already done. I am always looking for a better adhesive. I would love to win so that I can try yours out. Wonderful card! 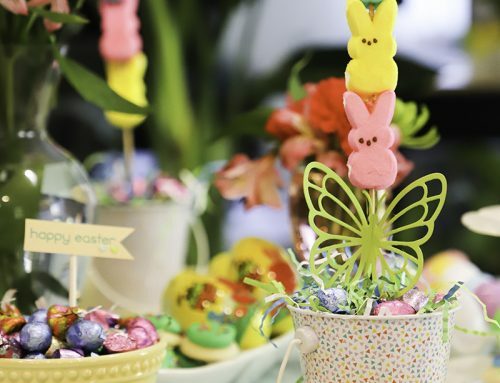 And prizes from PinkFresh, Scrapbook Adhesives, and Bo Bunny – it doesn’t get much better than that! As for what I’m excited about this Christmas, it’s the resurrection of a family tradition – Eggs Benedict brunch. I used to do this every year, but with children moving and grandchildren getting older, it died away. This year it’s coming back! Lovey card so pretty. Wow what a great give aways love all of the products.. Thanks for the great give aways from our sponsors and thanks SCT . What a cute card! I love it! The giveaway today is so great! Thanks SCT, Pinkfresh Studio, Bo Bunny and Scrapbook Adhesives. Thanks for the chance to win! I am excited to spend some time with my family over the Christmas holidays. My husband is off for 12 days, so we will have a nice long celebration. I love how layers make a card so special! I love your layered card! It is so pretty! I am most looking forward to my mom flying from TN to my house in FL to spend Christmas with my family. We have been here 3 years now and this will be our first Christmas together since we left TN. It won’t be a white Christmas but it will be a Christmas full of love! I love the blues in that BB line. So wintery! Beautiful card, Jen! The layering makes it very special!! Absolutely gorgeous! I love scrapbook-adhesive and many of their products is my to-go items! Gorgeous card Jen! Thanks for all the giveaways SCT, BoBunny, Scrapbook Adhesives, and PinkFresh. Wow! Today’s prizes are amazing! Love that Bo Bunny paper collection and you can always use adhesives! It’s been a very busy fall (and summer, really), so I am excited for a little bit of a break… and I’m hoping for a little bit of extra sleep! Thank you for the lovely giveaway. Jen’s card is stunning (of course!) and it makes me want to do some Christmas crafting! Thank you SCT and everyone for this chance to win! Another day of amazing prizes from such great sponsors! You cannot go wrong with any of their products! Thanks for the inspiration and for the opportunity to win! I’m so looking forward to be at home with my family for a couple of weeks. The layered card is great. Thanks for sharing. Amazing card! I love all the layers and dimension! I’m looking forward to going and visiting family this year. We go every year and I look forward to it every year, but it’s been a particularly difficult year, so will be nice to spend some holiday time with everyone. Thanks to the sponsors. I’m looking forward to be off of work and just enjoying time with my kids and family. I just want to hang out with them! Maybe see movies and maybe catch up on scrapbooking! Terrific layered card! Thank you for the opportunity to win such great prizes. I am looking forward to escaping from the bitter cold and snow to spend time with Mickey Mouse. Wow! What amazing prizes! Holy cow! I am looking forward to spending some relaxing down time with my family. Watching movies, playing games, tobogganing & crafting. Exploring our new goodies from Christmas! I would not of thought of so many layers and mixing different greenery. Youppi Youppi Doo!!! Wow. Can’t tell you how much I am in awe of your amazing sponsors. THAT card is gorgeous; I love how Jen packs so much onto one card and it all looks beautiful!!! And her step-by-step instructions always appreciated. And this giveaway is super delicious!! Such fab sponsors!! For the first time ever we are heading to sun, sand and turquoise waters for the Holiday season!! I am looking forward to having my adult children over for Christmas holidays. One lives an hour away, the other an 11 hour drive away. I am so excited to see them!! I love to layer all my card projects, even if I’m mailing them. Thanks for all the great tips! SCT has the best sponsors in the crafting world!!! I love those beautiful Bo Bunny Papers!! It’s hard to say what I’m looking forward to this Christmas. To be honest, I’m feeling a bit grinchy this year because it’s the first time one of our kids can’t come home for Christmas, and it’s a bit heart breaking. I suppose I am most looking forward to having some time off work with no sports to watch or activities to run to and spending some quality time with family and friends. Day 11 already! ? crazy! Love the layer look – thank you to all the sponsors- have I said what amazing gifts!!! That wreath card is super cute! LOVE LOVE LOVE it! Who doesn’t love Pinkfresh, Bo Bunny and Adhesive by 3L ! I’m looking forward to a lovely Christmas Eve church service and then a visit with my sister-in-law who is a shut-in. And I’m looking forward to watching the grandchildren via Skype open their gifts. And those prizes are awesome! Thanks for mentioning watching your grandchildren opening up their gifts on Skype! I think we should do that too! Thank you for sharing that! Merry Christmas! Wow! Talk about generous! Love the Bo Bunny paper! Love these giveaways. Y’all are good at this! I need that llama stamp! Thanks for the inspiration. Wonderful giveaways today! Thanks to all these great companies. Lovely giveaway! Thanks for the thoughtful generosity. What wonderful prizes to be won! I am getting very excited to see my son who has been attending U of C! I miss him so much! And I need him to set up my new laptop! LOL!!! Love “Santa reading the paper” stamp and the huge glue runner ! Please pick me to win ! Who couldn’t use more adhesive!? The kitty with the present stamp is too cute! I am so excited that my oldest son will be home to celebrate Christmas this year. Gorgeous card! So many layers, expertly arranged. Thanks for sharing. Wow! Outstanding prizes again today! And just love Jen’s card! Great layering on this pretty card! What a fantastic giveaway. Just when I thought they couldn’t get any better. Thanks for the chance. Great prizes, thanks for the opportunity to win. What I am most looking forward to this holiday season is getting two whole weeks off work. Since August, work has literally been sucking the life force out of me. I need a vacation. Cute card, love the dimension. I don’t know that I’m that excited this year as my daughter moved 2000 miles away and all our children are grown and living far away.. I guess just celebrating the birth of Jesus and time off work! Great products made by great companies! I am looking forward to time off work and hanging out with my family. Sleeping in and not having an agenda. Thank you SCT and sponsors. What a beautiful card. Thanks for all the great prizes. Merry Christmas Jen, thanks for all the fab tips. Another great giveaway. Outstanding! I’m looking forward to hubby home for 10 solid days! Late nights and sleeping in! Oh and delicious cups of tea made only the way he can make them! I would like to try that adhesive! And the bo Bunny papers are cute too. Love that wintry blue. Super great card! Nice prizes as well. Thanks for the opportunity! P.S. Most excited to see my kids get excited about there gifts. And I love when we all set an play what ever new board game Santa brought us! Fabulous crafty goodies today! I look forward to Christmas baking because there are a few things I only make at Christmas time such as Butter Tarts, Nanaimo Bars and Palmiers. Calgary turned cold and snowy today, but your daily prize packs warm my heart! The card is beautiful! Wow, three giveaways. Good luck everyone! Thank goodness for tools that do all the cutting for you 😉 I love everything about this prize pack, keeping my fingers crossed! Another day of wonderful prizes! Wonderful prizes. Thank you for the opportunity to win. Very cute card. BoBunny is one of my favourite companies and this line is no exception. Great prize pack; thanks for the opportunity to win it. I like the card! And you can never have too many stamps or adhesive. Great giveaway. What an amazing card! I will have to learn patience so I can put all these great ideas to use to create my own cards for next year! What I am most looking forward to this Christmas is the visiting with family and friends. Such a cute card, love all the layers. Such awesome prizes for some lucky person!! Thanks for the instructions for the beautiful card! I am looking forward to relaxing and spending time with family and friends. Another bunch of wonderful prizes to be won – thank you for letting me enter the draw. Beautiful card. I love the paper! Nice card, and thanks for the tips on the layering elements. I’m looking forward to gifts on Christmas Day with my son, and 2 whole weeks to relax and hangout with my family. Love the card, pretty paper. This card is gorgeous! I love the layering. I’m looking forward to spending time with family. I am most looking forward to Christmas Break! I’m a teacher and it cannot come soon enough! Two more days!!! WONDERFUL card, LOVE the layers and dimension! The thing I most look forward to is spending precious time with my family. It gets harder each year as the numbers get smaller (with loss) but more wonderful as the younger ones grow older, especially when we get to spend creative times together. I like to give them craft supplies and I am thrilled to see what they create! Great projects, great prizes, great magazine. This holiday I am most excited to be spending time with our new born-great-nephew. The joy of children around the Christmas tree. I’m looking forward to being home with my family for a few days. Thanks for a chance to win. Beautifully designed card–love it! Thanks for a chance at the wonderful prizes! We went out before dinner the other night to look at the Christmas lights in the neighborhood–one of my favorite holiday traditions! So many wonderful creative ideas! Pinkfresh’s prize offering is so generous. I’ve never owned any of their products, but I’d love to try them! There have been beautiful comments made by other crafters, wonderful holiday memories, and times of rejoicing. It’s been really nice to take part in this. Again, thank you for all of the great cards, tags, scrap book pages, gift packages, all chock full of super products and great techniques. Thank you Scrapbook and Cards Today! Beautiful card. Thank you Scrapbook & Cards Today for all the chances. Thank you for the great ideas and the giveaways. You just keep topping every day’s prizes . I am looking forward to dec 22 when you draw all the winners. Every year I think …maybe this year? Wish I could layer like that – great card! I’m looking forward to housesitting my sister-in-law’s beachside house for a week after Christmas. I never think of layering in a card. Thx for the inspiration and the great giveaways! What a wonderful wreath Christmas card! Love it and all the ideas in your 12 days of Christmas. Thank you SCT for all the creative inspiration all year long. I love getting your magazine in the mail. Thank you to all the wonderful sponsors too all the great gifts and fabulous projects they make to make our hobbies so much fun. What I’m looking forward to this Christmas is to spend time with our family and to give thanks. Love the various layers of this card! I am a nurse so half the time I work over Christmas. So opposite years, I really look forward to having the time off, and spending it with our various families. But every other year, I do look forward to working with colleagues who are also my friends, and we often plan a potluck so we can take some time and enjoy a meal together too. Also, my mom ALWAYS puts together a package of treats specifically for me to bring to work to share with everyone, and is very clear that it is to be shared with my coworkers. I think that is so sweet of her. What a beautiful card! The colors and layering are amazing. Thanks for the inspiration and great giveaways. Love your card Jen! Can’t wait to challenge myself to a layered card. The llama stamp set from Pinkfresh is so darn cute! I think I need it. Thanks for amazing prizes! I am most excited to see my granddaughter on Christmas morning. She is almost 3 and is really excited about everything Christmas! This is such a cute card! The prizes are absolutely wonderful. This year, I’m hoping to have a little bit of time for holiday cooking and to clean my scrapbooking room… it needs to be done. I’m looking forward to time off. Sleeping in, crafting, maybe yoga class. 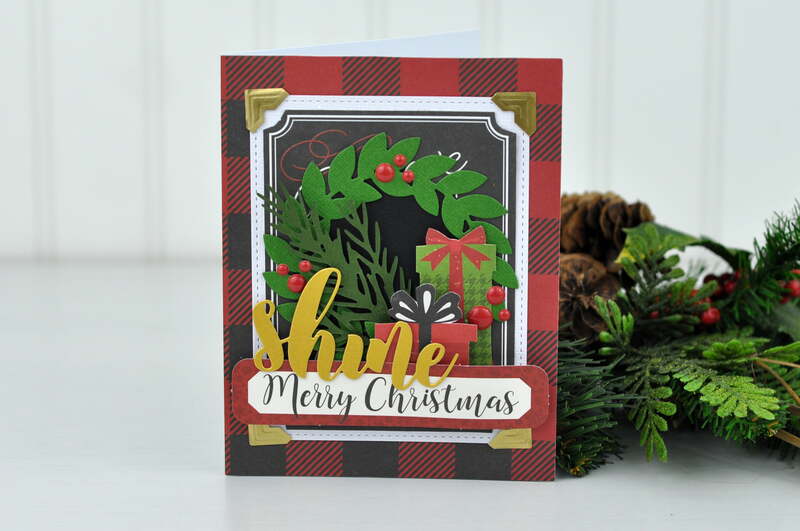 This card is just filled with Christmas color and cheer! Love it. Prizes are great and designers are so talented. I love all of the layers on this card. It gave me some inspiration to make my cards look a lot better. Thank you to all of the sponsors for providing such great giveaway gifts. Merry Christmas and Happy holidays to everyone! I’m most excited about family gathering for Christmas- and maybe finding a deal on Hamilton tickets! I am looking forward to spending time with family this holiday season. Thanks for the opportunity to win these amazing prizes. Merry Christmas and Happy New Year everyone. Lovin’ the layers. Jen has made a beautiful card. Thanks to the sponsors for the chance to win these wonderful prizes. That card is truly a work of art! Thanks for all of these great ideas and generous giveaways!! What a great prize! I am looking forward to a break from work and spending time with my boys and crafting. It may be simplistic, but I ALWAYS look forward to homemade cookies and catching up with friends. Memories can be put on paper, and also made around the kitchen table. Thanks for another fantastic giveaway! I love the prizes!!! Thank you!!! I love spending time with my family…it’s always a blessing. Oh my Love all these!! Cool stamps and dies love the papers! Wow, I love the prizes!!! Thank you!!! 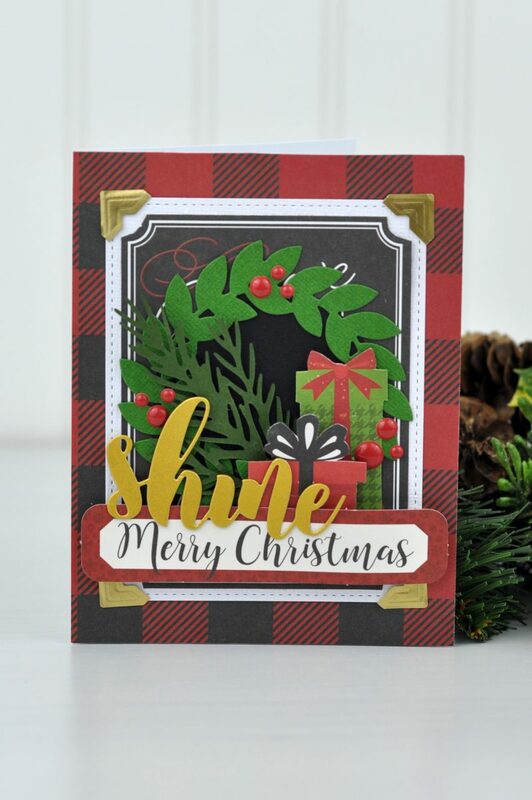 Beautiful card….love all the layering done with the die cuts. 🙂 I’m looking forward to spending time with my family and eating all the yummy food I have been spending time in the kitchen preparing. Happy holidays to you and yours. 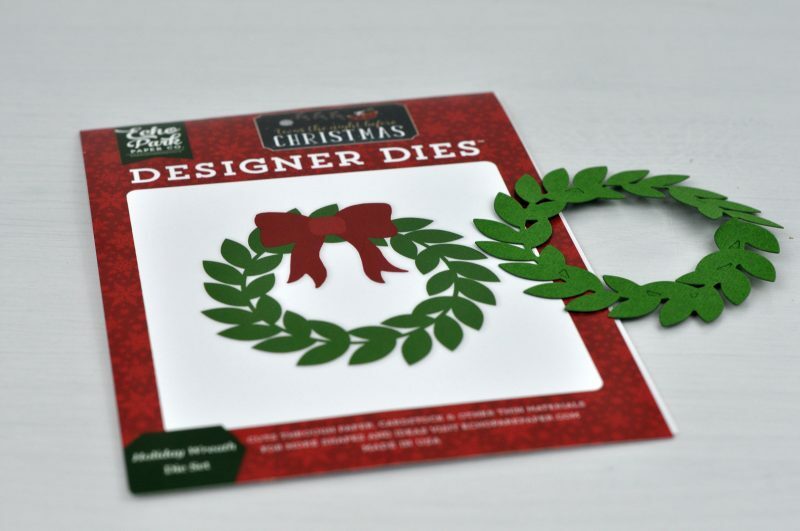 I love the wreath die (great idea for next year’s cards). With these stamps I could making cards for years to come. Such lovely layers! I love the style and design of Jen’s fabulous card. It’s exactly what I aspire to have my layered cards look like. So grateful for the step-by-step! What an amazing prize package combining three outstanding companies! 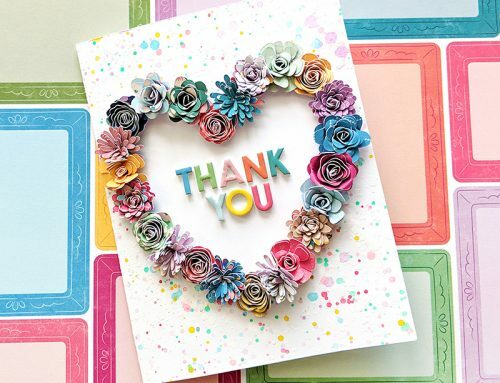 Thank you Pinkfresh Studio, Scrapbook Adhesives by 3L and Bo Bunny for so generously sponsoring today’s giveaway! I love the card ideas, thanks for the inspiration! I’m looking forward to our family getting together for our traditional gathering, full of fun and lots of good food. I’m also looking forward to having a few quiet days after that to relax in front of the tree and enjoy all the twinkling and sparkling. Wow, amazing! So many sponsors that i just love, thanks for the blog fun today SCT. I love this card and Jen made this layered card look so easy to make! This holiday we will be spending it with our adult children and sticking around the homestead. It looks like there’s a chance for a white Christmas, too, so we’ll snuggle in, eat a holiday meal and watch some favorite movies. This prize package is adorable! Thank you for the chance to win and Happy Holidays everyone! Beautiful card, love all the layers and traditional colours and theme! These prizes are my favourites so far. Thanks Bo Bunny, Scrapbook and Adehesives by 3L and Pinkfresh Studios. I work in an Elementary School so quite honestly I am just looking forward to having some peace and quiet over the holidays! Thanks so much for doing this!!! ?? Wow. BoBunny outdoes themselves every year with their winter theme collections. I have been an avid collector of their winter sets for the past number of years, and they’re always just perfect. Another triple giveaway. What amazing prizes. Looking forward to making cookies with my grandkids on Friday and spending Christmas Day with our daughter and her family and our son. Thank you for the chance to win some great giveaways again today! Loving the Christmas generousity. Would love a free gift for Christmas? Love the layered card. Love all the prize packs. Wonderful card and your tutorial took me back to the days when I took classes on scrapbooking by using stickers, much the same concept of using them and popping them up for interest. Thanks for the reminder. I am most looking forward to my boys coming home for the holidays. Beautiful card! And great prizes today! Beautiful card and wonderful giveaways, thank you and Merry Christmas!! Love all the layers that add so much interest to this beautiful card!! I’m looking forward forward to spending Christmas with my family and actually celebrating it on the 25!! First time not working Christmas in 10 years and I’m excited!!! Thank you for the chance to win such amazing products! Jen’s card is gorgeous. Super giveaway prizes too! Thanks so much for all of the inspiration! Thanks, Jen, for the lovely layered card inspiration. What fabulous prizes today! Three wonderful items for our scrapping fun. Thanks to Pink Fresh Studio, Scrapbook Adhesives by 3L and Bo Bunny. I am looking forward to spending precious time with family and friends. It is one of the few times when we are all together. Thanks, Jen, for the lovely layered card inspiration. What fabulous prizes today! Three wonderful items for our scrapping fun. Thanks to Pink Fresh Studio, Scrapbook Adhesives by 3L and Bo Bunny. I am looking forward to spending precious time with family and friends during the holiday season. It is one of the few times when we are all together. What beautiful prizes and a stunning card! My daughter moved away for school and will be home for Christmas. That is what I am most looking forward to! I am looking forward to my brother coming home for Christmas- and scrapbooking!! Super sweet layered card!! Last year was our big hoopla with all of our kids and grandkids here!! This year is going to be quiet and low keyed! Anyone would love to be the recipient of that card! Jen’s card is darling!!! I love all those sweet wintery layers! So many fabulous prizes to be won too! Thanks SCT and all your sponsors!! I sure could use some adhesive! Thanks for the card idea Jen. Beautiful prizes. I am so in love with buffalo plaid this year! Loved the card and the gorgeous items in the giveaway! I’m a newbie and I love reading about how cards are made (YouTube videos leave me wondering the next day). Thank you for showing step by step how to layer cards physically (I only know layering stamps). The prizes are stupendous, would love to win them! Thank you for sharing the love of the season. What an awesome prize!! Thanks for the opportunity. Wow the papers are so pretty. I’d love to win adhesives so my masterpieces don’t fall apart. 😉 I’m looking forward to the wonderful music at our Christmas Eve Candlelight service. i love this card, and if i cannot layer, i’m disappointed…must be some layering and/or elements added. Merry Christmas. Did somebody say “adhesives”? Love that this is included as a prize! Something every paper crafter uses! We can’t do all that layering without the right adhesives, so thanks for this prize! I love all the different elements of the layers on this card. That card is an inspiration class in how to use up all those extra Christmas pieces we have in our scraps. And what great sponsors today too- the 3L runner has been my go-to adhesive for years. Love all the layering Jen showcased! What could be better for a giveaway for a bunch of crafters than stamp sets from Pinkfresh Studio (wow! ), Scrapbook Adhesives by 3L (everyone needs adhesive) and lovely winter themed paper from BoBunny (adorable). Fantastic card! Amazing layering and I am all about buffalo plaid these days so you got me from the get-go on this one. Plaid anything is classy. I love the nostalgic paper, thank you for a chance to win. Good Luck to all. I’m not even going to lie, I NEEED that llama stamp set from Pinkfresh Studio, so winning it would be amazing! Santa – I really have a been a good girl this year. The other stuff, I can explain, right? Ha! Ha! 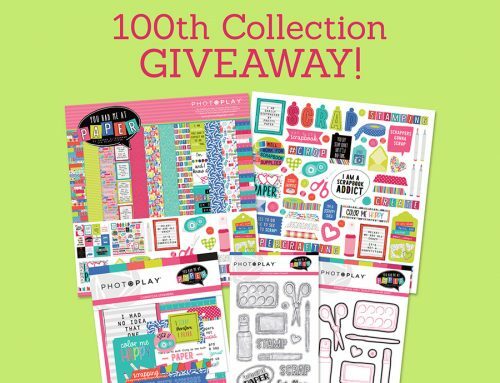 I would love to win this 11th Day giveaway set of from these three companies. Those Santa stamps from Pinkfresh are so adorable. The Bobunny paper pack/set is beautiful and the 3L adhesive pack to “tie” it all together would be wonderful! Thanks everyone for such a great prize. Whew, took me forever to get to the end of the comments. Lol. This is a very bittersweet Christmas. This will be my last Christmas in this home. My husband is retiring in May and we are moving 1600 miles away. So much of my household is already packed, except for my scrapbooking stuff. Stamps and dies are packed, so I am limited on what I can play with. Thanks to the sponsors for making this a fun giveaway. Merry Christmas. Thank you for offering this giveaway. Merry Christmas! Thank you for the chance to win! So wonderful at this time of year! Gorgeous, gorgeous, gorgeous!!!!! Thanks for the opportunity!!!!! Love the step by step instructions! I am most looking forward to seeing my kids faces light up when they open their gifts. That look of absolute wonder and amazements gets me every time. I love making Christmas magical for them!! I love all the texture and layering on this card. This year we get to have all four children home for Christmas, which is bittersweet since it will be the last year we will be able to do this. I am going to soak it all in this year. Celebrating Christmas with family is the best thing, over indulging on turkey and goodies, getting spoilt oh boy can’t just pick one thing! beautiful designs, and who couldn’t use a little more adhesive? This holiday season, I am looking forward to spending time at home with family and friends and spending a few days just me and my hubby! What a wonderful card! Love the design. Another great set of prizes. Such amazing and generous partners! stamps, dies, adhesives, and bobunny – oh my!!! great giveaway. stunning cards. so very beautiful. I am simply looking forward to some extra time with my family this Christmas. It is what I always hope for – more time to talk and laugh and play board games. and even a little karaoke if the mood hits. Getting to spend some extra time with friends, one on one. It’s been a hectic year and being able to slow down, even for a week is very nice. Great prizes, as always. I know someone who would love the BoBunny paper as it is “her colour”. Looking forward to the fact that my parents (both in care now) are at least together in the same space. This holiday season, I am looking forward to spending time with family especially my grandsons, watching them with wonder in there eyes and faces, waiting for Christmas morning when they open there gifts and of course spending down time with my wonderful hubby!. Another day of amazing, awesome and generous prizes from such great sponsors,Pinkfresh Studios, Adhesives by 3L and Bo Bunny! You cannot go wrong with any of their products! Thanks for the inspiration and for the opportunity to win! Thank you for offering such great prizes ?? Hopefully I will get a chance to try some of the wonderful ideas provided in your posts. Maybe during the holidays. Merry Christmas!! dang, that’s pretty! Excited about my grown daughter coming for an overnight visit! Gorgeous card and oh my goodness, those prizes!!! Most of all, what I am excited for about this season is that for so many years, it’s just been me and hubby on Christmas but this year, we’ve been invited over to some dear friends houses… really looking forward to being around such wonderful people this year. Such an exciting time of year! Can’t wait to see who wins! OMG I love this prize package! I can’t believe how much is being given away! And I love the card! I’m excited about my sister coming into town and to my place for Christmas dinner. Family and friends is what Christmas is all about! CUTE CARDS! And who can’t use adhesive! 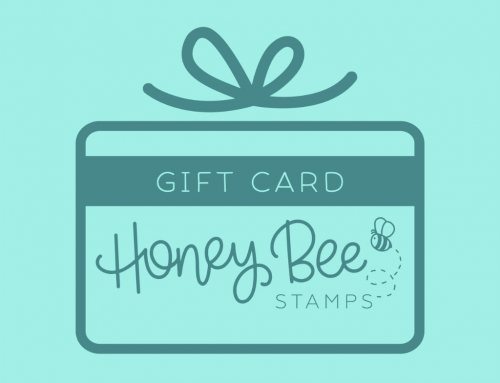 I love the card – great products to win! Love the layered card – and that cute Pink fresh llama! I was most looking forward to the stamping group party 2 nights ago since we haven’t all been together since October due to our own or family health challenges. And it was a very special and joyous night even though one friend was still in the hospital. But we are so looking forward to seeing her in a few weeks to welcome her home! Thanks so much for the chance to win these great prizes. Loving the inspiration! I’m most looking forward to time with family without the normal crazy days. Love all of these, thanks so much! Fabulous prizes today. Looking forward to family time together. I am most looking forward to a few days to sit in my craft room and play!!! Today’s prizes, like all the other days! – are awesome!!! Oh my, these giveaways are so useful and lots of great ideas–thank you sponsors & SCT. Love the card! Great prizes!! More Christmas! Yes!! Love it! very pretty. love all of the inspiration! THANKS!! Beautiful card. Love the layers. Love this card! Great products! Oh so pretty!! What I’m most excited about this Holiday season, apart from all these chances to win so many wonderful prizes, is spending time with family and my nieces…. and having a couple extra days off work! YAY! Jen, your card is so very pretty. Love the layering on top of the red/black plaid. What an awesome card! Thank you for the inspiration, this amazing prize package and the chance to win! Merry Christmas and God Bless! Layering isn’t something that comes naturally to me, thanks for the post with some ideas to get me doing it more! And awesome giveaways – ì always need adhesive! Love the card! Thanks for the chance to win some amazing products! I’m really looking forward to having my boyfriend home for Christmas! Love the stamp sets !! Beautiful card! I love holly and wreaths!! Beautiful card! Great giveaways as well! I am looking forward to having some time to relax with my family. Thank you for 12 days of Holiday Giving! , wonderful ideas and inspiration. I am so glad I discovered your SCT Magazine, it just keeps getting better and better. Love the layering card, the results are stunning! What a wonderful card! I love all the layers, prints, and dimension. Just lovely. Great prizes too! Would love to win any of them. Very generous. I am looking forward to relaxing with my kids and hubby after all the hustle and bustle is over and just catching our breaths and enjoying maybe some sight seeing, as we just moved to a new state this past August. And we haven’t done much wandering around. So looking forward to getting to know our new town/area. Thank you for the opportunity. Happy Holidays! Another fabulous giveaway! I just live Pinkfresh & Bobunny & always need more adhesive! I love the look of Pink Fresh’s holiday line this year. What a fun prize! Bo Bunny does it again with a fantastic Winter collection of papers. And the tags are beautiful. Thank you to the generous sponsors and these exciting giveaways. Merry Christmas! I love the card! It really places you in a festive mood! I love the card, great prizes. Love the card. These ideas give me the opportunity to create something different. Wreath die would be great to add to my collection. So grateful that you offer all these great prizes. These ARE outstanding prizes!! The thing I look forward to the most is having my family together for Christmas dinner….food is always wonderful but it’s the laughter and joy and being with family that makes me happiest. Such a pretty card! I love all the layers! Thanks for the chance at winning these fabulous prizes! Would love to win this prize package so I can make that beautiful Christmas card. Thanks for the chance to win! Great prize! Thank you for this giveaway! I am most excited to see my youngest open her new headphones…. they light up with the music…she will love that! Oo-oo-oo! More adhesive is always good! Another amazing card design. Thanks for the layering tips! Love this prize package also! Three of my favorite companies. Thanks to all! The card is very nice! Thanks for the chance to win all those great prizes! The best part of Christmas is spending time with family. I love the bo bunny paper. Pink Fresh stamps and dies and of course my very favourite adhesives there are. I use these exclusively and they never disappoint. Thank you for all your generosity. Love all the prize companies! Hopefully my memory from this year will be getting a new puppy! We lost our Lab who was only eight back in October…. this is by far the best prize pack ever. the best thing we are looking forward too is,, I have a grandson that we haven’t seen in 10 years that will be here tomorrow and will spend the next week with our family for the holidays. That is a blessing for us. Beautiful card and wonderful prizes today. Thank you for the chance to win some awesome prizes. Love the layering on the project! Another great giveaway today . . . I LOVE the llama set!!! Thanks for the chance to win! Love the card and instructions. So many goodies to win today – so many thanks for the chance to win! Eek…..those prizes! That tape runner though. I would be so excited to win this. Love this layered card. Thanks again for the chance to win! Love to get together with friends and family. I was diagnosed with cancer in August and had surgery and currently going through chemo treatments. you learn not to take things for granted and will treasure our time together. Thanks for the opportunity to win some wonderful products. Great card – you make layering look so easy! Love all the dimension in this card. So impressive. What a great group of prizes today as well. What a wonderful card. Great inspiration!! I absolutely love the card! I think i am most excited to see my family i dont get see them very often im also very excited for them to open the gifts i handmade! Thank you for the opportunity to win. Good luck everyone! These are three of my favorite products to use! Oooh, the things I could make. Heehee Thank you for the inspiration and a chance to win these amazing prizes. Thanks for all the wonderful giveaways and inspiration! Oh my goodness..those are fabulous..thanks for the chance to win this awesome giveaway. Happy new year ?? ?.I am very excited to go on vacation for the winter breakwith my family. Its a wonderful chance to take a break from life routine and all its responsibilities. All these prizes are beyond fabulous… but I must tell you, my love for Pinkfresh Studios is beyond description – and their December Days paper collection was the base for my Christmas 2017 cards! [also the collection I used for my FIRST ever published card right here at SCT!] Bo Bunny is new to me, but with a name like that, what’s not to love? 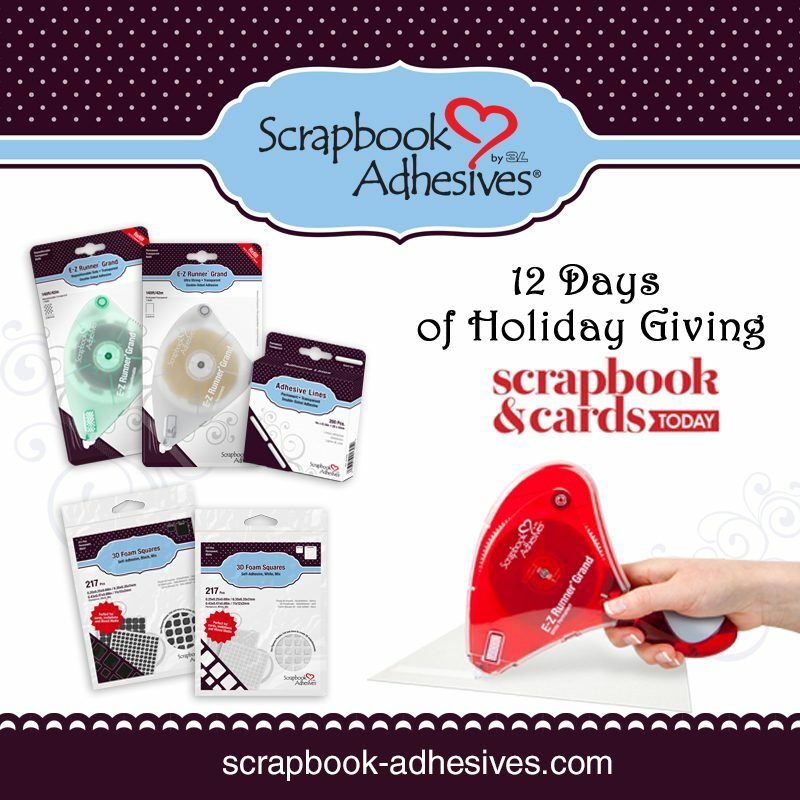 Scrapbook Adhesives thin foam squares are my go-to when it comes to layering – what a great prize that would be! Here is what kept me excited this holiday season: I sent out 70 one-of-a-kind cards to friends here in the States, and 24 to other countries! It is a new high for me – and the best part? When I get one back! I do love this card-making community, so very much! Thank you SCT! Beautiful card Jen! I have to say I’m always excited to watch the little ones open their gifts, but this year my son and his fiance are getting something special and I can’t wait for their reaction! I’m most excited about having my kids home on break and I always spend New Year’s Eve completely reorganizing my house and I can’t wait to just clean-up and donate stuff we’re not using. Amazing prize pack today. What a great stamp and die collection today! The colors of the Bo Bunny collection are beautiful. With all those adhesives I could make a whole scrapbook! Love Jen’s layered Card and love today’s sponsors. Pink Fresh has one newest most captivating new designs this year. I am most excited to have both my children home for Christmas and then to spend time with my family and their cousins Christmas Day. Something that gets hRder and harder to do with all the kids getting older. Wow – stamps, dies, adhesive, and Bo Bunny paper! What more could we ask for? 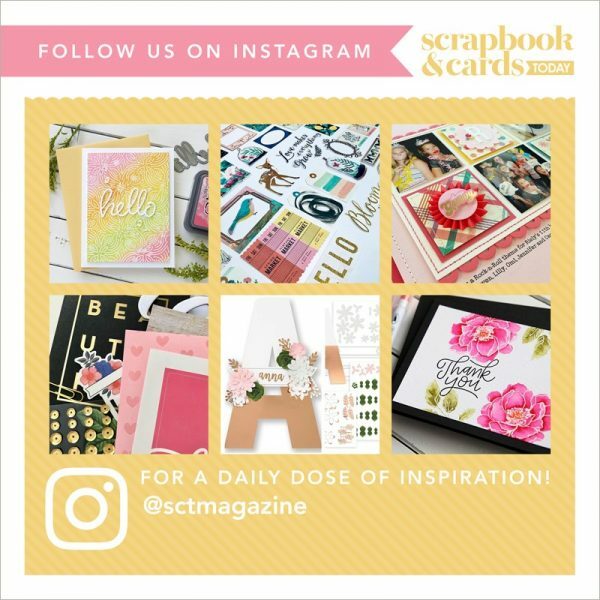 I love all the products and samples that come with the magazine AND the ways to use them. The ideas are always fresh and new and breathe new life into my designs. Thank you for doing such a wonderful job. I look forward to another year of ideas, inspiration and motivation. Thank you. Such a beautiful card!!! Such inspiration! I love the stamps but I have to say Bo Bunny is my absolute favourite and without a local scrapbook store I miss being able to purchase it. Would love to win such a wonderful prize package. Thank you SCT and all of your wonderful sponsors!!! Merry Christmas ? and all the best for another wonderful year of scrapbooking and carding and so much more!!! I love Jen’s card! She always has such beautiful cards. What fabulous prizes! I love Pink Fresh’s collections. I am most excited about my daughter and son in law coming to spend Christmas with my husband, youngest son and I.
I’m excited about everything! I love Christmas! Thanks for the chance to win! Gorgeous card, thank you for sharing! Another day of great giveaways! I am most looking forward to some relaxing time with my husband and all 3 of my adult children! Merry Christmas! I love my tree and decorations but the thing I look forward to the most is seeing my niece, nephew and their families to make gingerbread houses with the wee ones. Also, my daughter is coming home with her boyfriend. Let the board games begin! Wow! What great prizes. Love spending time with family and enjoying each others company. Love the card, love the give away…need I say more! It is so nice to “see” Jen and her lovely work on SCT’s blog (and recent magazine). I miss her on the kit videos. Great tips and great prizes to practice with! Speaking of gifts, I’m excited to see others’ joy when they open their presents. I love the card. I like to fussy cut and make cards that are layered thanks for all the awesome prizes up for a chance to win! Love the black with the red plaid!!! Great way to up the card with all the layers and enamel dots for real dimension!! Today is such huge giveaways and would be so thrilled to receive them!! Pinkfresh is one of my new favorites! Such serene little images and fun llama! I’m looking forward to seeing my adult children for the second time this year as we are now able to get together due to everyone’s jobs!! Hoping to see the new Star WArs movie together!! I love to make my Christmas cards in this manner. Lots of layers, but only using paper and stickers! Love the plaid and need some new scrap booking items to refresh my collection. That card is so cute, and really quite simple to create. My favorite kind. What beautiful paper and a lovely card design! Thank you for a great bundle of gifts – happy holidays to everyone! I heart Jen! Just love what she creates and how she explains things! The bright colors are awesome on this card! Beautiful card to share with family and friends. All thr prize giveaways are amazing.. Thanks for these days of great giveaways. Beautiful creations! Thanks for the chance to win! Love the layers and textures on the card – beautiful! Thanks for the opportunity! Actually this Christmas will be a little sad. It’s the first time ever I won’t be with all my children and most of all my grandson since it’s so fun with children around. So I guess I’m most looking forward to FaceTime!!!! Beautiful prizes again! Every day has been fantastic. Thanks for the chance to win! I love all the textures on this card! Thanks for the chance to win! Love all the diecutting details ! Would love to win. I love spending time with family. Hate winter so this is a time to take a break from the cold and just be together and enjoy. Wow, what a great giveaway!! Thank you for the chance to win! What a wonderful gift package from some terrific companies! I am looking forward to spending time with my family, I’m a little sad that our daughter and son-in-law can’t be with us, as they moved far away, and also that my Dad, who is in Memory care, is not able to join us. But we will have time to enjoy the family who are able to join us, share some traditional and new foods, play some games and just enjoy each other and celebrate the birth of our Savior. Scrapbook adhesives is my #1 go to brand. Can always count on them to hold my crafty projects together. The blue paper is great for Winter and I love Christmas stamps. My favorite thing about Christmas is that the local Soroptimist Club posts lists of needy seniors and kids in foster care, and what they’re hoping to receive for Christmas. I don’t have a lot of money, but I love shopping to find bargains for a few items I can get for them. Thanks so much for the chance to win such terrific prizes! Love the opportunity to win!! These prizes are just getting better and better. Amazing, stamps and dies from Pinkfresh, Scrapbook Adhesives (love these as I love how they stick and are easy to use). And Bo Bunny always has great paper and this is no exception. Love it. Thanks for sharing your projects, ideas and inspiration! What I am looking forward to this year is my brothers coming in from out of state!! They have not been in for the holidays for quite a few years and it will be so much fun! Oh, I love the layers and textures in today’s card. Thanks for the tips! I need to remember to use pattern paper on a more creative way. I am looking forward to some R&R (rest and relaxation) this holiday season. Work has been uncommonly busy for December! Oh, and I’m most excited about spending time with my 8 week old grandson this holiday season. This is an awesome prize package. Thank you so much and Happy Holidays. What a beautiful card! Would love this prize! Love all the layers on Jen’s card! I am so looking forward to the joy on my 2 year old Grandson’s face this year! Amazing card and fabulous prize. Who ever has enough stamps, adhesive or paper! lol I am probably most excited about what I sense God is doing! Gorgeous card, Jen. Love your tips and techniques. Such great giveaways. Thank you Pinkfresh Studio, Scrapbook Adhesive and Bo Bunny. Would love to win! Wow, so much fun in this post. Some awesome cardmaking by Jen and amazing giveaways too. Thanks Pinkfresh (llama stamp! 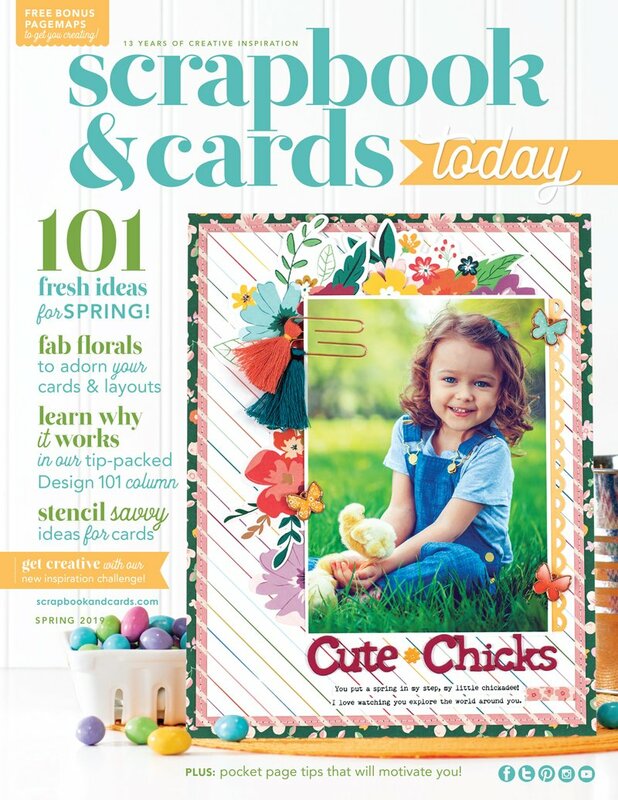 ), Scrapbook Adhesives and Bo Bunny! I love layering on my cards! I have a hard time NOT layering that my Christmas cards cost almost $2 each to mail! Such fantastic prizes for Day 11! I work as a Lab Technologist in a Hospital so we work on one Christmas and off the next year. This year I am off so I am excited to spend my Christmas holiday with family, morning, noon and night! YAY! Most excited to spend time with my family & seeing my kids excitement on Christmas morning (even though they are both college students). It never gets old! Great prize pack!! Love all these prizes! Thanks Bo Bunny, 3L adhesives and Pink Fresh for sharing the Christmas Spirit with your fellow crafters!! YES!! I just love those PinkFresh stamps and the beautiful BoBunny papers~ That wreath card is so cute and the perfect layered dies! Forgot to add that I am most looking forward to seeing my sister-in-law and their two kids this weekend because they came all the way from New Zealand for a visit! A beautiful card and a wonderful prize! I love your annual giveaway! Such a beautiful card with all the layers!! 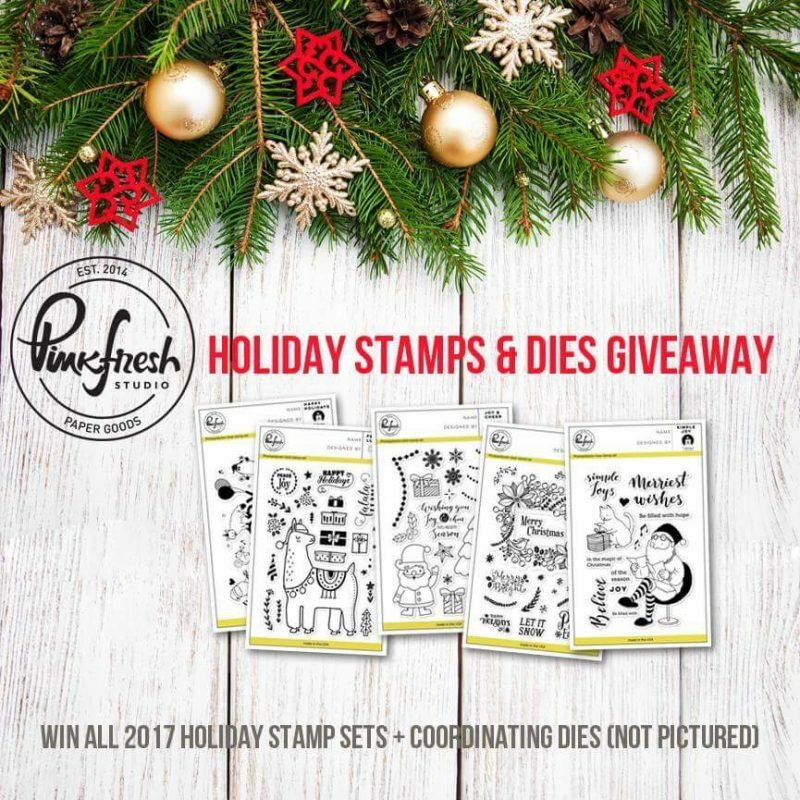 Those Pinkfresh stamps are adoooorable, I have seen them on social media already and would be thrilled to win! That is a card anyone would love to receive! I wish layering was so simple! Beautiful job. Wow … another amazing bundle. And let’s face it … there is no such thing as too much adhesive tucked away in the storage bin!! Merry Holidays, SCT!!!! Great prize package. Love the Lama! I added to my Christmas wish list. Amazing prizes! Would love having any of these as part as my Christmas! Love these prizes! What a wonderful gift to actually win them! Thanks for the chance to win! Layering adds a nice touch to cards and scrapbooks. Thanks for the chance to win more great prizes! Your sponsors are amazing! I’m looking forward to staying in ’cause it’s going to be very, very cold for a few days over Christmas! Wonderful prizes on the 11th day. Thanks SCT and sponsors. Looking forward to a sunny Christmas with family and friends in AZ. Love the bo bunny paper! I love the layered card. HVe to save tgese ideas for next year! Thank you all so much for your great ideas and giveaways. Thanks for another chance to win awesome scrappy loot. What am I the most looking forward to this holiday season? Spending time with family – especially those who we may surprise in Boxing Day!! YAY! Fantastic card, love the layers! I’ve been wanting to try one of those glue rollers and the Bo Bunny line is awesome! Thank you for sharing such a beautiful card! I’m most looking forward to seeing my son and having friends and family over. I like to get my house all ready for the holidays and share it with guests. Gorgeous card and I love the Bo Bunny paper! Love Jen’s layered card. Thanks for the giveaway. SCT, this contest is amazing! Thanks so much for the opportunity to win an amazing prize. A very Merry Christmas to your entire team! SCT, this contest is amazing! Thanks so much for the opportunity to win an amazing prize. A very Merry Christmas to your entire team! As I type this comment, we are on the way to visit family, one of the very best parts of Christmas! Oh, and the food too. I love that mega tape runner … looks like you could get lots finished with that one. The paper is adorable too! Thanks for the chance to win some great prizes…. Thanks for the great giveaway! Love the stamp and die sets, can’t ever have enough adhesive and BoBunny makes some of my favorite papers!!! Can never have too much adhesive or Bobunny products!! Thanks for the chance to win !!! I love these prizes!! Bo Bunny is one of my faves!!! Aww nice prizes today! I am happy this year that all the decorations are up which is one of the best parts is seeing them all around. I didn’t quite make the decor happen for fall so this is making me very happy. Pink Fresh and Bo Bunny are 2 more of my BFF’s! I ADORE these brands! What awesome, awesome, AWESOME giveaways!!! And who couldn’t use more adhesive? This is why I love this hobby! SO MUCH FUN and great sharing of ideas! Y’all rock! Love this card! the plaid! I’m really looking forward to spending Christmas eve with my family! we do a Yankee swap with homemade presents. So nice to see the youngest generation participating and showing us all their “hidden” talents. Thanks for the chance to win! Merry Christmas to all! Today is my birthday and to win would mean the world to me! Most looking forward to spending a Christmas Day supper with my side of the family all together for the first time in over 10 years! ❤️ My parents will have all their grandchildren together!!! Thank you Pinkfresh, Scrapbook Adhesivea by 3L and BoBunny and SCT for a chance to win!!! Wishing you all a wonderful holiday season! Thank you SBandCards for organizing this 12 day holiday giving event. I enjoy the showcasing of sponsor’s who are leaders within our industry. how cute are those stamps?! and coordinating dies – awesome! Can’t get enough adhesive either… and always LOVE BoBunny!! All of my adhesives are be Scrapbook Adhesives by 3L. They’re great products. Gorgeous card and what a beautiful Bo Bunny collection! Love the colours and vintage vibe. What a beautiful card!!! Love to layer!!! You make it look so simple!!! Great prizes again today. Thanks for the chances to win. Merry Christmas everyone!!!! Thanks for another day of great giveaways! I am so looking forward to finishing out our traditions by decorating the tree this weekend and making a nice meal for us to enjoy together on Christmas Eve. Then, what can I say? I love Christmas morning! Such great prizes to make beautiful cards. Thank you. I get to spend Boxing Day with my whole family this year…first time in about 10 years! The Christmas wreath die is darling! So excited for all these prizes! I love all the products! The card by Jen Gallacher is very nice. Thanks again for an opportunity to win one of your giveaways.This Christmas we are spending much time with both families and also our Church Family. Jesus is the Reason for the Season. Thank you for sharing a beautiful card! Thanks SCT and your generous sponsors for the chance to win some lovely prizes! What a beautiful card. Very nice. Such a clean crisp look. Thanks for offering such amazing projects in your 12 days of Christmas this year. Thank you so much for sharing. Such a cute card and die cutz! ? 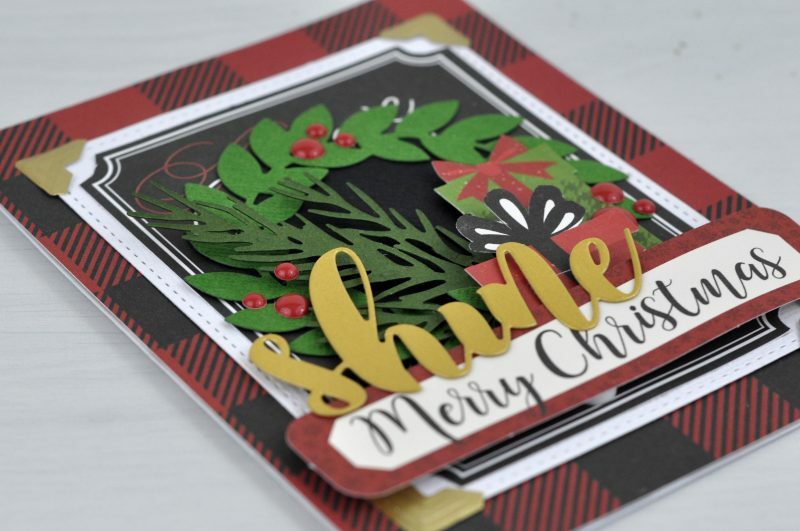 Holy moly what a great giveaway and I love that wreath die and card. I really need that die!!! Thank you for the chance to win these amazing goodies!! 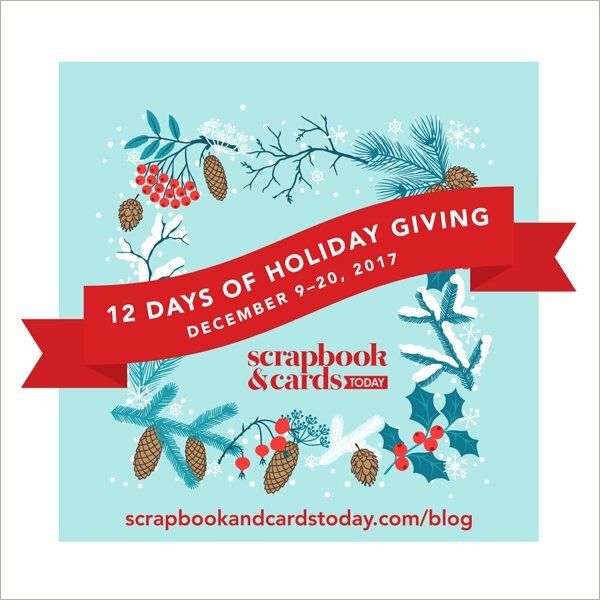 Great card idea and loving the 12 days of holiday give away. Thanks for the chance to win a prize.